Competitions are tasks that you complete to gain resources, items, etc. Tasks vary between training warriors, destroying enemies, plundering resources, etc. There are four kinds of Competitions: personal, clan, global, and legendary. Personal Competitions are marked with green, clan Competitions are marked with blue, global Competitions are marked with red, and legendary ones are marked with yellow. In personal Competitions, the player takes part individually, whereas in clan Competitions they compete together with their clansmen against other Clans. 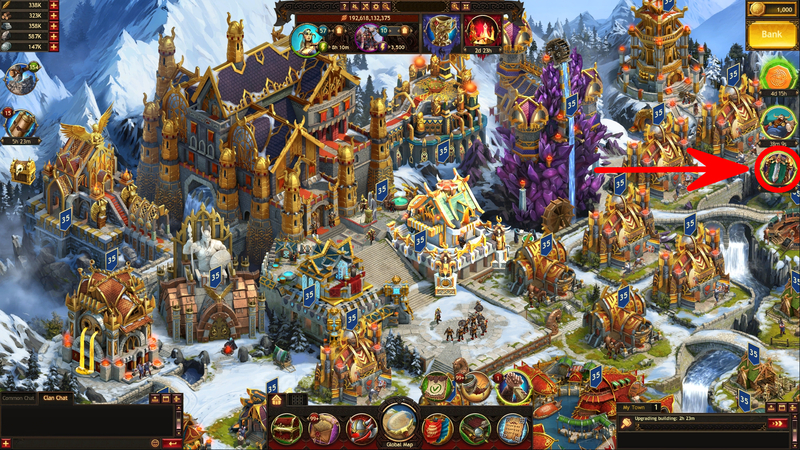 Global Competitions are held between Kingdoms. All players can participate in them whether they are Clan members or not. In order to relocate to Jotunheim and participate in legendary Competitions, you must be a Clan member and have a Palace of level 21 or higher. Personal and clan Competitions are not connected. 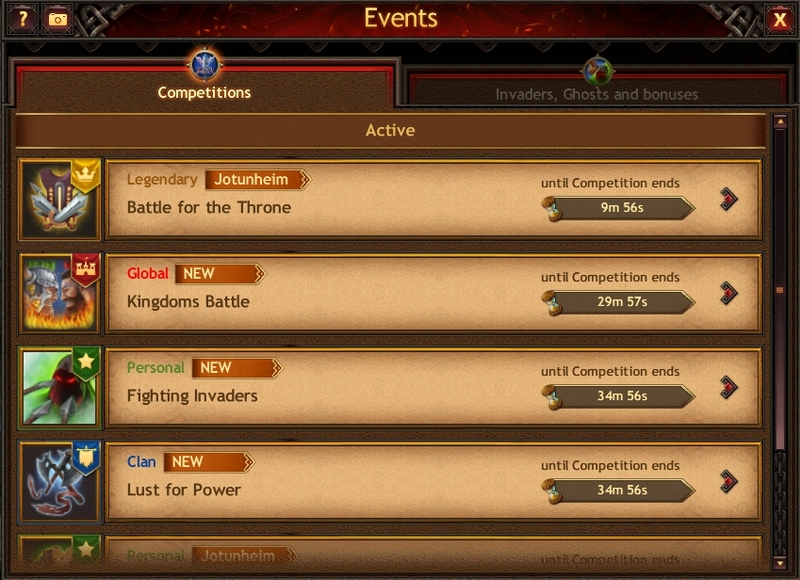 If tasks are the same in the Kingdoms Battle and personal/clan Competitions, the points are earned in all Competitions. This rule does not work for legendary Competitions in Jotunheim.